Being estranged from a relative comes with myths – and stigma. But it’s more common, and in some cases can be healthier, than you might think. It’s often said that food brings people together. But it can also split families apart. Cookbook author Nanditi Godbole has experienced this first-hand. Her affluent Indian family, who generally had hired cooks in their homes, disapproved of her choice of profession. By working with food, she was going against their expectations. When Godbole’s recent book Ten Thousand Tongues: Secrets of a Layered Kitchen delved deep into family history, she met even more resistance. Clearly, this wasn’t just about the food. 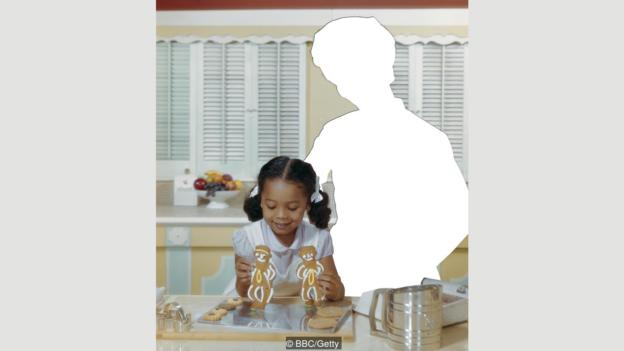 By changing traditional recipes – and exploring parts of her family history that others felt ownership over – she was perceived as challenging family hierarchies. Some relatives stopped speaking to her. Godbole’s story may be unique. But her experience of disconnection from her family is far from unusual. Family estrangement has been defined as distancing and loss of affection that occurs over years or even decades within a family. It isn’t clear if such estrangement is on the rise, since it is a relatively young field of research. But it is common. 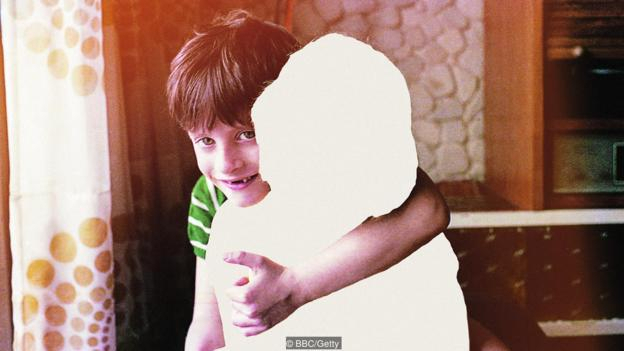 Research by Stand Alone, a UK charity that supports people who are estranged from relatives, suggests that estrangement affects at least one in five British families. One US study of more than 2,000 mother-child pairs found that 10% of mothers were currently estranged from at least one adult child. And one US study found that more than 40% of participants had experienced family estrangement at some point – suggesting that in certain groups, such as US college students, estrangement may be almost as common as divorce. Stand Alone founder Becca Bland, who has personal experience of estrangement as she has no contact with her parents, has also noticed that the topic is much more discussed now than it was even five years ago. This is borne out by Google Trends data showing steady growth in people searching for estrangement-related terms, primarily in Canada, Australia and Singapore. “I think Meghan Markle and the royal family have definitely made family estrangement news,” says Bland. The Duchess of Sussex, who in 2018 was the most Googled person in the UK (and second most Googled person in the US), has driven recent conversation around complex families due to her own difficult relationship with her father. So have other celebrities like Anthony Hopkins, who acknowledged in a 2018 interview that he’s barely spoken with his daughter in two decades. Celebrity gossip can be a useful way for ordinary people to process and explain their own life experiences. Though examples of estrangement can be found around the globe, it’s more common in some societies than others. One factor seems to be whether a government offers strong support to residents. In countries with robust welfare systems, people simply need their families less – giving them more choice over whether to maintain ties. In Europe, for instance, older parents and adult children tend to interact more and live closer to each other in countries further south, where public assistance is more limited. Financial factors also intersect with other factors, such as education and race. In Germany, higher education levels of adult children are associated with higher rates of conflict with their parents. One theory is that highly educated family members are likely to be more geographically mobile, and less likely to need each other financially. The research of Megan Gilligan and colleagues, on caregiving-related conflict in US families, has shown racial differences in the experiences of adult children. But it can be difficult to separate out the influences of culture and class. Gilligan, a gerontologist at Iowa State University, notes that in the US, “minority families tend to co-reside more; they tend to be more reliant on exchanges”. In Uganda, family estrangement is on the rise, says Stephen Wandera, a demographer at Makerere University in Kampala. Ugandan families have traditionally been large and extended – which proved crucial in recent decades as family members stepped in to care for people orphaned or devastated by civil war or Aids. But in recent research, Wandera and colleagues found that 9% of Ugandans aged 50 and over live alone – a surprisingly high percentage. That’s not the same as estrangement, of course. But Wandera says that as families get smaller and more nuclear, and as urbanisation increases, the prevalence of estrangement is likely to rise. This won’t be happening right away. “Cultural norms are still strong, and they take time to fade,” he says. But Wandera expects change within 20 years or so. This doesn’t mean that governments should limit financial support to older people to encourage stronger families. Spanish family culture has been called “more coercive” than, for example, Norway’s, where intergenerational relationships are generally more amicable because they’re chosen and less financially pressured. Divorce contributes to the loss of family relationships, especially with fathers. So do secrets. The abandonment of relatives with marginalised identities is also a common factor, such as family rejection of sexual and gender minorities in Vietnam. But estrangement is often quiet and undramatic. Gilligan explains that it’s typically gradual, rather than a big event. The people she’s interviewed have often said “I don’t quite know how this happened” rather than pointing to a specific incident, she says. Still, even if the triggers seem trivial, they reflect long-lived tension. Families looking to reconcile should recognise that conflicts are unlikely to be just about isolated incidents, so it could be helpful to engage with the past. For those seeking reconciliation – or to prevent estrangement to begin with – suspending judgement may also be helpful. In her research with older mothers, 10% of whom were estranged from an adult child, Gilligan found that the most significant factor in the estrangement was a mismatch in values. For instance, “if the mother really valued the religious beliefs and practices and the child had violated them, the mother… really viewed it as offensive”, she says. Factors went beyond religion too. One mother who highly valued truthfulness cut off a son who told lies, while a mother who highly valued self-reliance stopped speaking with a daughter who she believed was dependent on a man. In fact, these violations of what mothers saw as their personal values made estrangement even more likely than when there were societal norm violations – such as the child having committed a crime. And this value congruence was more important to mothers than to fathers. And as in the classic Japanese film Rashomon or the TV series The Affair, two people can have such different memories of the same experience that it’s almost as if it wasn’t the same experience at all. Adult children in the UK, for example, most often mention emotional abuse as the cause of their estrangement from their parents. But parents are much less likely to mention emotional abuse (which refers to persistent attempts at control through humiliation, criticism or any of a number of other damaging behaviours). Instead, they referred more often to causes like divorce, or mismatched expectations. Since Gilligan’s research was focused on mothers, she didn’t speak with their children. So, it’s difficult to know if the same trend would have applied. But either way, this disconnect is common. “The estranged adult child and the parent are not communicating about what’s upsetting to them, so I don’t really think they’re on the same page at all,” she says. And, of course, if one person is defensive or unwilling to listen, the pair might be speaking without truly communicating. 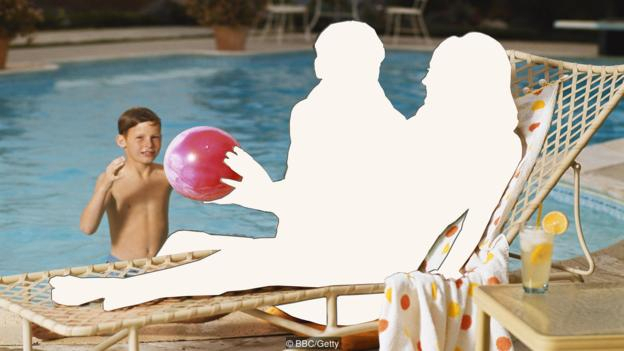 Bland sees this disconnect as stemming from how the generations have very different conceptions of family. 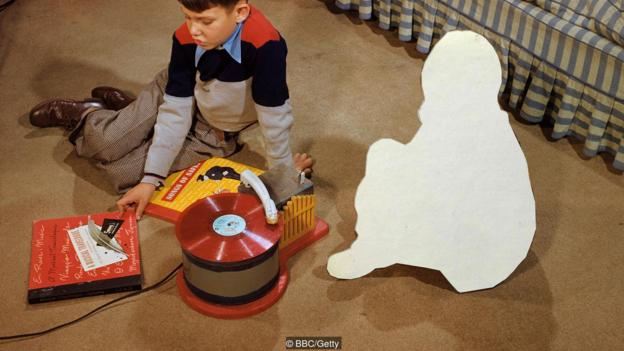 “There was a rigidity about family in the post-war generation” in the UK, she says. People saw their family relationships in terms of concepts of duty and self-sacrifice, which sometimes meant people putting up with emotional or physical abuse – or not perceiving it. For siblings, mismatched values and expectations also play a role. But parental favouritism is another significant factor. While it could be easy to see estrangement as solely negative, the reality is more complicated. Just as traditional taboos against divorce can keep women tethered to abusive and exploitative marriages, a dogmatic belief in the sanctity of families can keep people suffering needlessly. People can feel that cutting out toxic relationships was the right choice. The Stand Alone report found that, for more than 80% of people affected, choosing to end contact is associated with at least some positive outcomes like freedom and independence. It can be a crucial step away from a legacy of abuse. It’s also important to note that estrangement isn’t always permanent; people cycle in and out of distance and reunification. Nor are conflicts always with every other member of a family. Trang Nguyen, a public health researcher at Johns Hopkins University, comments that among Vietnamese families where there’s parental rejection of LGBT women or trans men, “usually siblings are closer, and a supportive sibling helps a lot”. 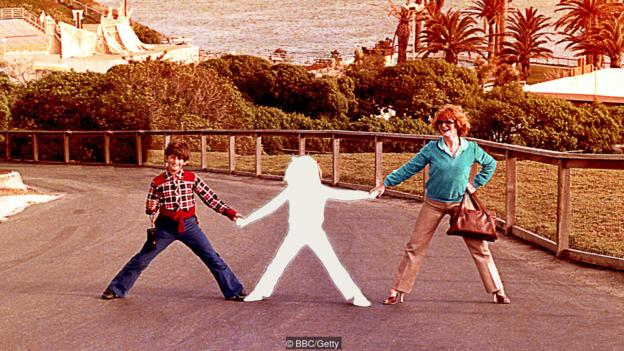 Family estrangement is painful partly because it’s an ambiguous loss, one without finality or closure. It’s also one many other people don’t understand. “There definitely seems to be consequences of estrangement psychologically, but maybe the consequence is the stigma,” Gilligan says. In other words, cutting off contact with a family member might be most painful because of the way society misunderstands and attaches shame to it. One online article aimed at pensioners blames individualism, divorce culture, psychotherapy, and “a child’s immaturity” for estrangement. Even therapists commonly blame, dismiss or disbelieve their patients who are describing estrangement. Women are especially likely to be stigmatised. Some people limit their social interactions to avoid discussing family. But experts say that people who are already isolated from their families shouldn’t be made to feel even more alienated over their situation – whether it was one over which they had little control, or a decision unlikely to have been reached lightly. From an academic standpoint, the stigma also makes it hard to know exactly how many people are estranged from their families. It’s especially likely to be under-reported in cultures where it’s socially unacceptable to discuss family conflict. Estrangement, it seems, doesn’t always need to be “fixed”. But as with other painful experiences, the shame of the situation might.